This is the title of the sermon by Rev. 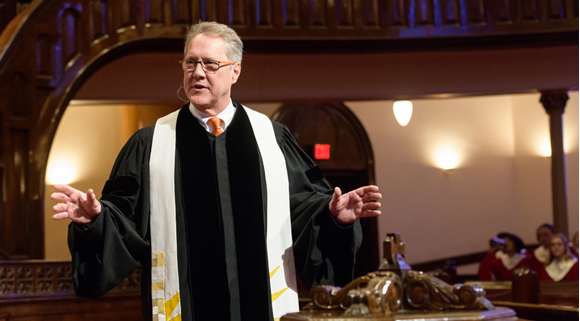 Tim Hart-Andersen, Senior Pastor of Minneapolis’ Westminster Presbyterian Church, on Reformation Sunday, October 28. Below are photographs of Rev. Hart-Andersen and the Westminster Sanctuary. 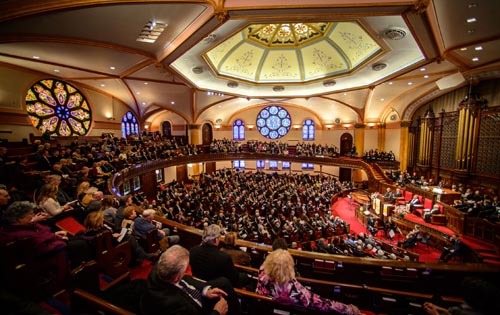 As noted in other posts, every Westminster worship service is divided into the following three sections: Preparing for the Word, Listening for the Word and Responding to the Word. Here are some of the elements of the first two sections of this service. The service was opened by the stirring Prelude: “Marche en Rondeu” by Marc-Antoine Charpentier and “Trumpet Tune in D Major” by David N. Johnson that were played by Douglas Carlsen (trumpet, Minnesota Orchestra), Jeffrey Gram, timpani; and Melanie Ohnstad, organ. “An account of the genealogy of Jesus the Messiah,the son of David, the son of Abraham. Abraham was the father of Isaac, and Isaac the father of Jacob, and Jacob the father of Judah and his brothers, and Judah the father of Perez and Zerah by Tamar, and Perez the father of Hezron, and Hezron the father of Aram, and Aram the father of Aminadab, and Aminadab the father of Nahshon, and Nahshon the father of Salmon, and Salmon the father of Boaz by Rahab, and Boaz the father of Obed by Ruth, and Obed the father of Jesse, and Jesse the father of King David. “It’s Reformation Sunday, when we celebrate the stream of Christian history in which we stand as Protestants. We open with John Calvin’s hymn and will close with Martin Luther’s. It’s also nine days before an election that has highlighted and heightened tensions among us. We’re anxious in America, and afraid. The divisive rancor is endless and exhausting. Our politics are tearing us apart. We are “stewards in our time of the hope at the heart of our faith.” This is another passage of the sermon that made an impact on me. I had not thought of being a steward for the short time of my life of a belief that was passed on to me so that the belief may be carried forward in time after I am gone. I also never had thought of being a member of a covenantal community in the U.S. involving everyone who is here right now. Yet I certainly have believed that life in the U.S. is or should be inclusive recognizing the full humanity of everyone. This also means that democracy “ is a covenantal form of politics” requiring my participation. Finally I am reminded that retrieving and studying the Scriptures and the sermon and then writing about them provide deeper and more enriching insights. I urge others to do the same. The bulletin for the service is online. Sermon, What Is a Reformed View of Politics? (Oct. 28, 2018).